If you've been looking for love for a while, you've probably noticed that dating is no longer how it was 20 years ago, or even 10 years ago. I remember the first time a friend of mine tried online dating, way back when it was considered something only a desperado would do, and even though many frowned upon it, I thought it was marvellous that she could meet someone this way. Online dating was a novel and great way to meet a like-minded partner, someone who you'd normally never meet, that is unless you were lucky enough to randomly cross paths with them, which was unlikely. Fast-forward 10 years and now online dating has become the norm, with most couples happy to admit that they met the love of their life online. In fact, a Pew Research Center study from this year shows that 5% of committed relationships and marriages in the US started online. Another study run by eHarmony states that 1 in 3 marriages in the US begin online. So why then are there so many men and women still single and looking for their love match, when technology is supposed to make it easier than ever to meet people? We can blame technology for this, because as much as there are some great upsides to online dating, it's true that it has not been an entirely positive phenomenon - because there is a downside to the online world that not only affects the online daters, it also impacts on the men and woman who are trying to meet their match the more conventional way. The big scary truth is; there are three big reasons why finding love seems to be getting harder which are: opportunity, competition and fantasy (otherwise known as delusion)! 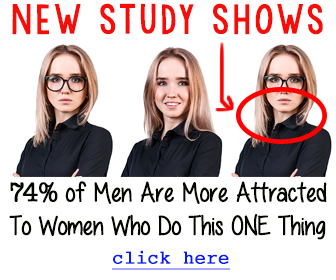 These are three significant and insidious reasons why so many women feel as though every man they meet, that they actually like, keeps disappearing. Even when they thought they had a real connection with them, it seems that something always happens that has the man pulling away, and them second guessing themselves and feeling disheartened (over and over again). Opportunity - Not only do we have more opportunities to meet more men, we've also got more choices of potential partners than ever before. But what happens when you have too many options? Oftentimes, having too many options to choose from can overwhelm and confuse. It's like getting ready to go out - too many outfit choices can see you spending hours getting ready, but if you only had one or two choices then it would be easier and quicker to choose what looks best. When you can easily communicate with and meet as many men as you like, you can become picky. You end up paralyzed, incapable of deciding who's the best match for you and potentially never getting together with any of them. Competition - As there are more opportunities for you to meet men, so are there more opportunities for men to meet women. There is more competition than ever, not just among men but among women as well. Dating has become a smorgasbord of choices and, well, we're all human, after all, so this smorgasbord is making us greedy. This greed then leads to heightened expectations and it becomes increasingly difficult to stand out among your "competitors". We all have our strengths and weaknesses, our little quirks and habits that make us unique, and it's getting increasingly difficult to let these shine through with so much critique and competition. It has become really difficult to attract the attention of just one man, just as it has become really difficult to focus your own attention on one man. But there is one more factor that prevents many of us from finding their match. Fantasy - We all have our fantasies in spite of our better judgement. We seek perfection even though we know there is no such thing as a perfect, totally flawless man. The increase in the number of dating opportunities and the tougher competition unfortunately feeds these fantasies, causing us to pass up on good men in favour of someone who seems like the fantasy come true, but will never live up to this perfect image. This is a delusion that well keeps you from love. Getting to know what you like, what you want, and what makes you happy is a very necessary first step to a happy dating life and to finding your life partner. If you know what you want, you are less likely to fall victim to that greed that causes mental and emotional paralysis, making you incapable to pick a man from the multitudes online. Don't give up easily once you've identified what you want in a healthy loving relationship. The many dating opportunities may be a mixed blessing but a blessing it still is, don't forget that. Just as you get confused about the men you meet, the guys feel the same, so don't take something that looks like rejection as a personal representation of you. Also, you can afford not to settle for someone that you're not really into - you've just got to dust yourself off and keep going. Don't be afraid you won't get a better shot at finding a truly intimate, fulfilling relationship, you will as long as you're realistic in your approach and resilient. Online dating is great but there is nothing like actual face-to-face contact. Even video chats cannot give you this sense of direct communication, this opportunity to really get to know the person you're interested in and is interested in you. Real life direct contact can help you see much more clearly whether the man who's piqued your interest online is indeed the man who you can fall in love with. Second to that, get out of your house and meet more people in general - do not rely on online dating, instead live your life with passion! In the above point I suggest you engage more in life, though what's the point if you don't take the initiative to meet more people (i.e. men) when you're out and about? Unfortunately, women are still being held back by social conventions that have no place in the 21st century. Be bold and push aside your fears and archaic social conditioning and approach the man you're interested in - instead of waiting for him to approach you. Imagine that maybe he's shy or slightly intimidated by you. Or he just hasn't had the chance to fully notice you. Why not give him this chance? Men like confident women above everything else. Show him your sparkle and watch him gravitate towards you. Having faith in love is the one thing you need to attract the love you want, your confidence and self-belief cannot be ignored either, because loving you will make you stand out in the crowd and will erase all unrealistic expectations - because confident people are also realistic people, which makes them resilient.